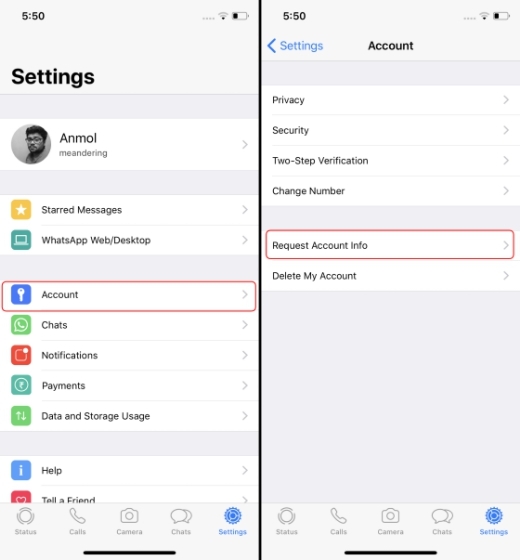 Just days before the EU’s GDPR (General Data Protection Regulation) took effect, WhatsApp had added the ability to ‘request account info’ to their iOS app. This feature was first offered to Android users towards the end of last month. The recently added ‘request account info’ option gives you the ability to export your account info from right within the messaging app. It hands over all over your data, excluding the messages as they are end-to-end encrypted (E2E) and WhatsApp isn’t able to view them. Note: I requested my data on WhatsApp (build 2.18.60) on iPhone X, running iOS 11.2.5. 1. Navigate to ‘Settings > Account’ and select the ‘Request Account Info’ option. 2. 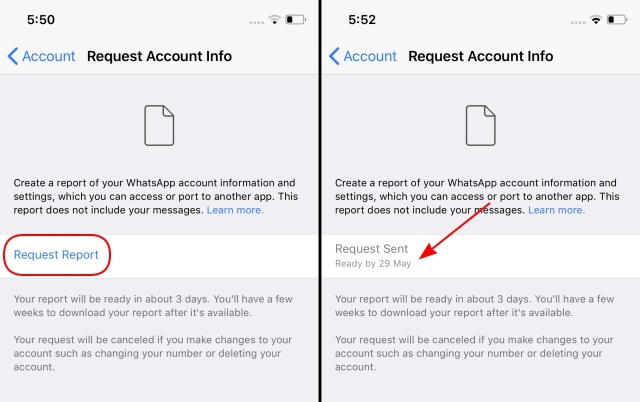 Under the “request account info” section, you will find a ‘Request Report’ button, which you can tap to ask WhatsApp to compile your data stored on their servers. While it says that it would take about 3 days to ready your report, it doesn’t usually take that long. 3. 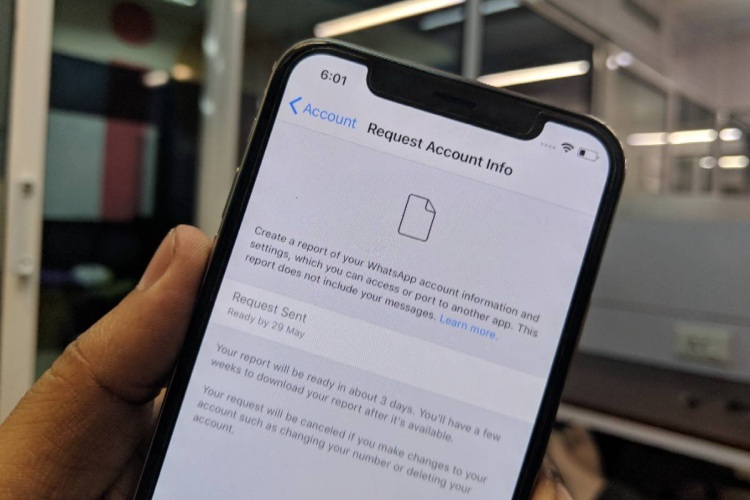 Once the report is ready, you can tap the ‘Export Report’ option to get access to your bite-sized report. It comes in the form of a .ZIP file, which includes an HTML file that holds all your info. As we’ve already seen with the data report on Android, WhatsApp isn’t collecting a lot of data on you. The HTML file includes details including your phone number (which you had used to sign up on WhatsApp, of course), phone model, IP address, profile picture, phone numbers of contacts, and the name of Groups, as well as all privacy settings. You wouldn’t spot anything too surprising in the report, but it bugs me that WhatsApp is not saying what all personal data has it shared with Facebook.